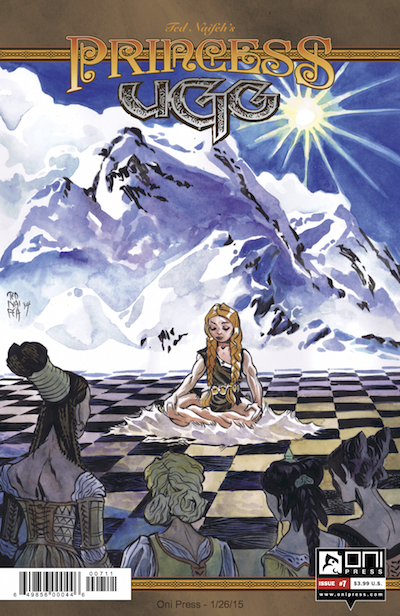 As the second storyline of Ted Naifeh’s Princess Ugg concludes in issue #8, this may be the last for a while — but it’s a high point to pause on. First, issue #7, which sets up a number of interesting plot twists. 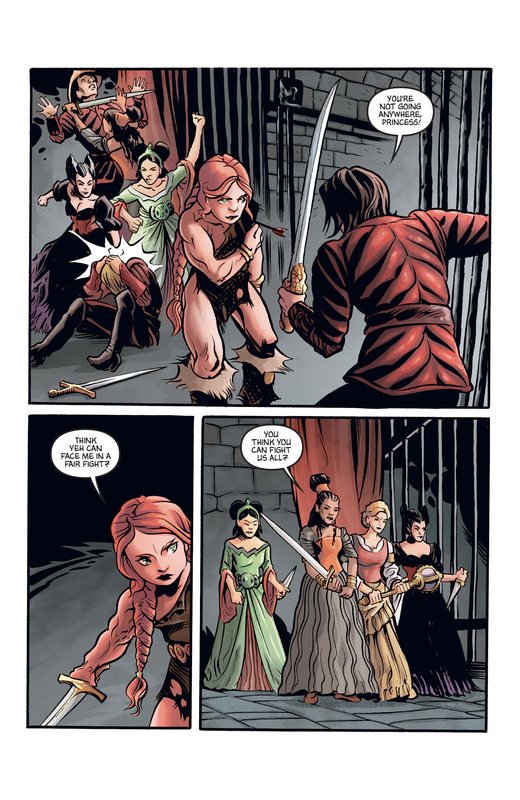 In previous issues, Ulga and her fellow princesses have been kidnapped. Her bravery has won over many of the others, who finally see her in a context where her “savagery” has a purpose and a value. The prissy Julifer, however, continues to cling to the rules she gains value in, unwilling to change with her surroundings no matter the threat. When we meet her father, we understand more of why she’s so involved in conventional expectations: he’s a double-dealer, a schemer who plots to become emperor and is willing to use humans as chips in his game. Yet when it comes to having her feelings hurt, Julifer is capable of just the same kind of blackmail and threats. It makes me want to know what happened to her mother, to better understand her background and how she was raised. There’s also a kind of princess competition, a display of proper talents, in front of the last queen (who looks rather like Maggie Smith in Downton Abbey). Since Ulga’s plans have been set awry by the loss of her dress and instrument, she returns to the lore of her people, which once again demonstrates hidden depths. 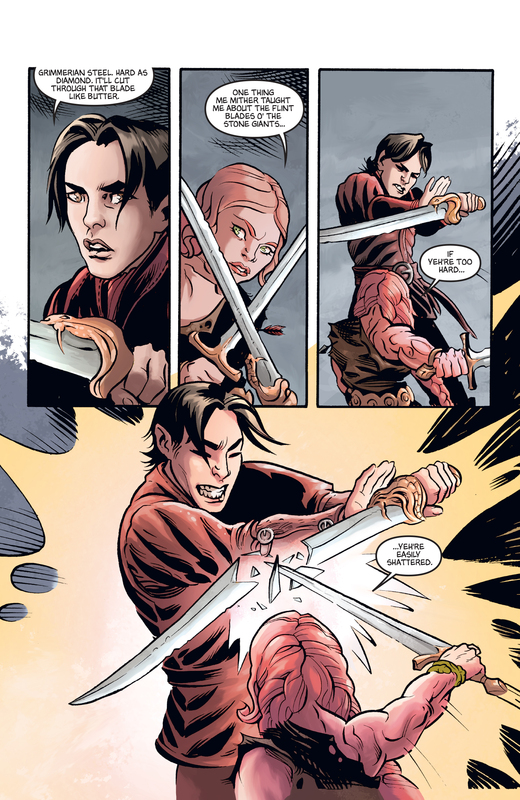 Naifeh is skilled at these touching moments within fantasy adventure tales; it’s his balancing of emotional affect, from action to heartbreak, that makes this series so enjoyable. 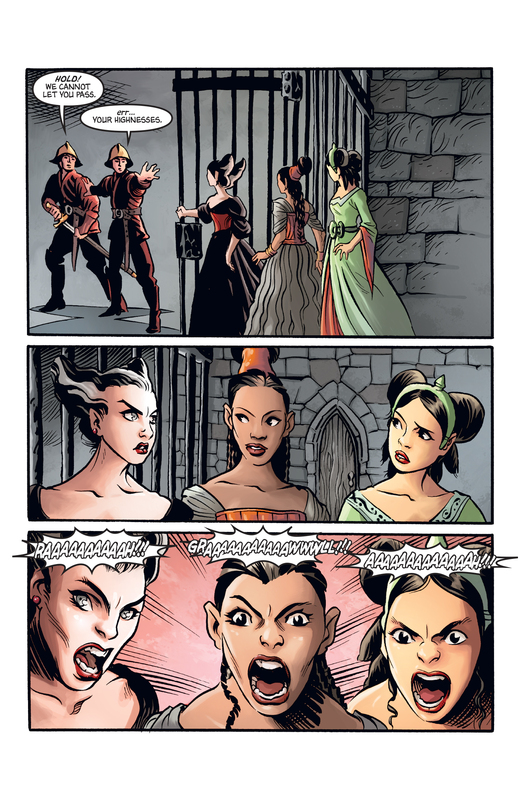 Julifer’s father has kept the princesses captive, his “honored guests” to ensure cooperation from their peoples with his plans for military alliances among the kindgoms. Ulga’s father is having none of it, declaring war instead, as one would expect from such a forthright, fearless tribe. ￼We dinnae fear death. We’ll fight teh the last man! ￼￼And then your wives and children would be defenseless. Yeh dinnae know our wives. It’s thrilling to see Ulga with responsibility and clever problem-solving, always true to herself and winning through because, not in spite of, that. She’s the symbol of a new way of doing things, both within the story and in her own title, within the comic market. 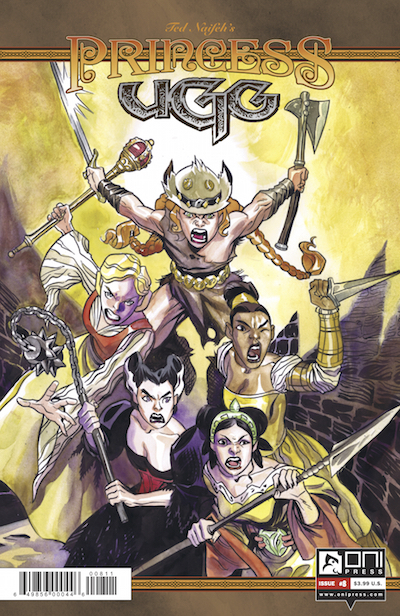 Issue #8 concludes with those immortal words “Ulga will return.” No specifics, but I hope that’s a promise. In the meantime, here are some preview pages from issue #8. I’m so glad you turned me onto this series as it has been so good! I like fantasy stuff in general, but have found myself bored with the majority of it for a long time. This series with its characters and storyline just seem like a breath of fresh air though. Really enjoyable!